TRAILER WT 3920 LB. ; DECK LENGTH = 16' ; DECK WIDTH 6'8" ; DECK HGT. 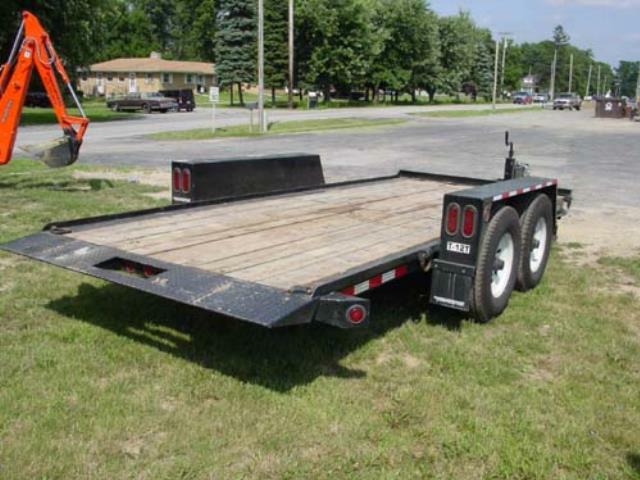 22"
* Please call us for any questions on our trailer 10 000 tilt bed surge brakes rentals in Cincinnati Ohio.